Orlando is as if it has escaped from the pages of a fairytale. Having as its main highlight Disney World it is like a huge playground. All the magic of Disney Word and Universal Orlando predominates in the city. It also has many other things to offer. Fantastic museums, tree- line neighborhoods and a variety of performing arts. You will always have something to do and you have to spend a lot of time on the road. Having a reliable vehicle as your ally is the prerequisite of your journey. If you are tired from being bombarded by several seemingly suitable choices and you want to play on the safe side just visit our website at www.vanrental24.com and the perfect 12 seat minivan will be at your disposal in no time. It goes without saying that your first stop once you set your foot in Orlando is Walt Disney World it is by far the most popular family attraction and holds the first place for many years. Ride you van hire and allow yourself to experience unique moments. The Magic Kingdom, Animal Kingdom, Epcot Theme Park, and MGM Studios are just some of the highlights that have been the entertainment paradise for children and parents. There are so many things for you to see, that you can be kept occupied for days. Downtown Disney now targets to adults as well, with shopping, restaurants, theaters. If you want to complete this wonderful experience filed with colors and different heroes that children admire, then the Orlando Resort is where your next drive with your van hire must be. The resort consists of two theme parks, where you'll find the Wizarding World of Harry Potter, movie-based simulated rides ,and high-speed thrills guarantee to steal your heat and win you over from the start. It is the ideal spot to revive the serenity of your childhood years. For the lovers of Marine life the Orlando Sea world is a must see. Its huge aquariums and the wales and dolphin shows, offer a wonderful and memorable spectacle. Here you will be given the opportunity to see from up close the most intelligent creatures of the animal kingdom that they and by that we mean of course dolphins. Next stop of course the glorious Universal studios. Explore the famous film studios were many of the famous Hollywood blockbusters have been created here and enjoy as well many other attractions that offer the ultimate entertaining experience. City Walk features dining, shopping, and entertainment day and night non -stop. As you can understand you need to have you batteries. For something entirely different with a tone of class and romanticism the Bok tower garden is a totally classy sight and shows the other side of Orlando. Designed by Frederick Law Olmstead Jr and with 205ft stone bell tower being the highlight this is not just a sight but it has rightly been converted into a landmark, featuring beautiful gardens which unfold in front of you blended together with twice-daily carillon concerts, the Mediterranean-style Pinewood Estates and a wonderful garden café which is the ideal spot for an outdoor coffee. Your final stop should be the museum of Art. This impressive white building hosts a variety of art exhibits and offers numerous art events for children and grown-ups. 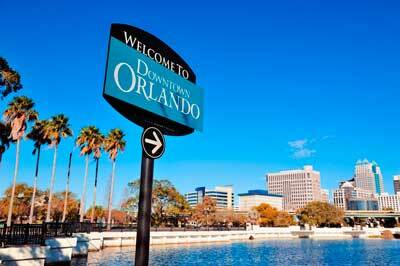 With Orlando being the number one destination for families Minivan Rentals is the number one choice to move around. Comfort luxury and safety allows you to create your own personal program that meets your needs. If your children feel worn out van rental allows them to rest on your way back to the hotel.